Have you read a GRAM (Brisbane Edition) Magazine yet? I’ve been so thrilled for Busog! Sarap! to be featured in GRAM’s (Brisbane Edition) Magazine, Issue 2/May. It was so nice to see one of my recipes in Busog! Sarap! printed in paper. Once we found out that GRAM’s Brisbane May Issue was out, Mr. H grabbed a copy from one of the coffee shops in South Brisbane and brought it home for me to see. Gai Lan (Chinese Broccoli) with Oyster Sauce is a favourite dish to order, for most of the people who eats regularly in Fortitude Valley or Sunnybank. This dish is so simple to make at home. What is so addictive with this quick stir fried Gai Lan, is the delicious crunchiness of the vegetable itself and with the addition of Oyster Sauce, it creates a sweet/salty harmony together. 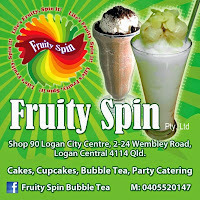 QLD GOOD FOOD GUIDE 2012 – Special offer!!! If you are a Queenslander or planning to visit this great state of Australia, here’s a very useful source of “where to eat” guide. Just released last month, QLD Good Food Guide 2012 gives you more than 450 reviews of restaurants, bars and cafes spread across Queensland and northern New South Wales. Here’s the great news! For a limited time only, you can purchase QLD Good Food Guide 2012 Online Edition for only AUD$4.50, half of the normal price. F.Y.I~ This is a RocketFuel sponsored post.